I posted on Instagram last week with a sneak peak of a big box that arrived - all perfectly wrapped and safely packaged from Leturos Meloria. I promised an unboxing was on it's way, and today I will fulfill that promise! Selling a range of products from Manyo Factory, with some other offerings sprinkled along the side, Leturos Meloria may be small but offers exactly what the people are looking for - good products and great fanfare. Right now, you can receive a special freebie with your order from Leturos Meloria with code "halfpastoctober." 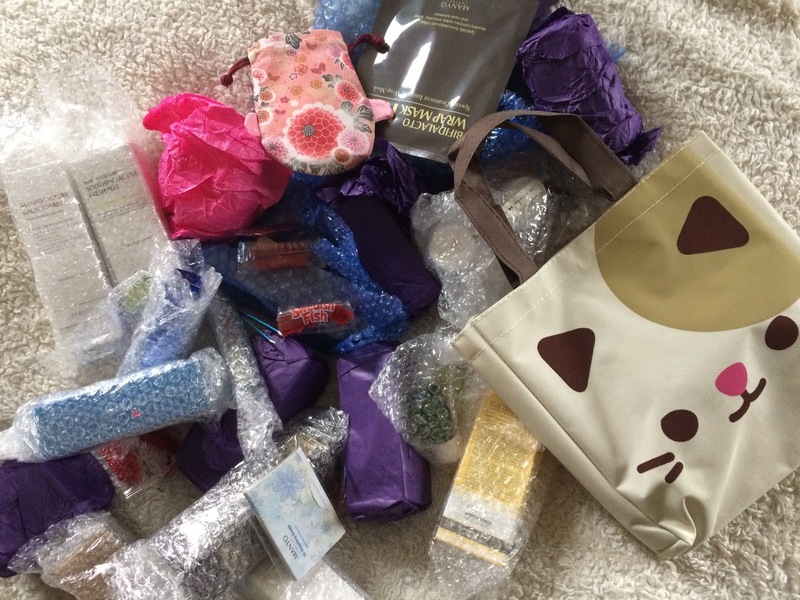 Now, on to what you've come for - a peek at all the beautiful goodies that were so lovingly packaged and sent over by Simone at Leturos Meloria. The Bifida Ferment Complex is actually not currently offered in the shop, but it is something that will more than likely be stocked in the future, and happens to be a product that I love. I've tried it before, close to a year ago, and it is a great anti-aging essence that is chock full of antioxidants. 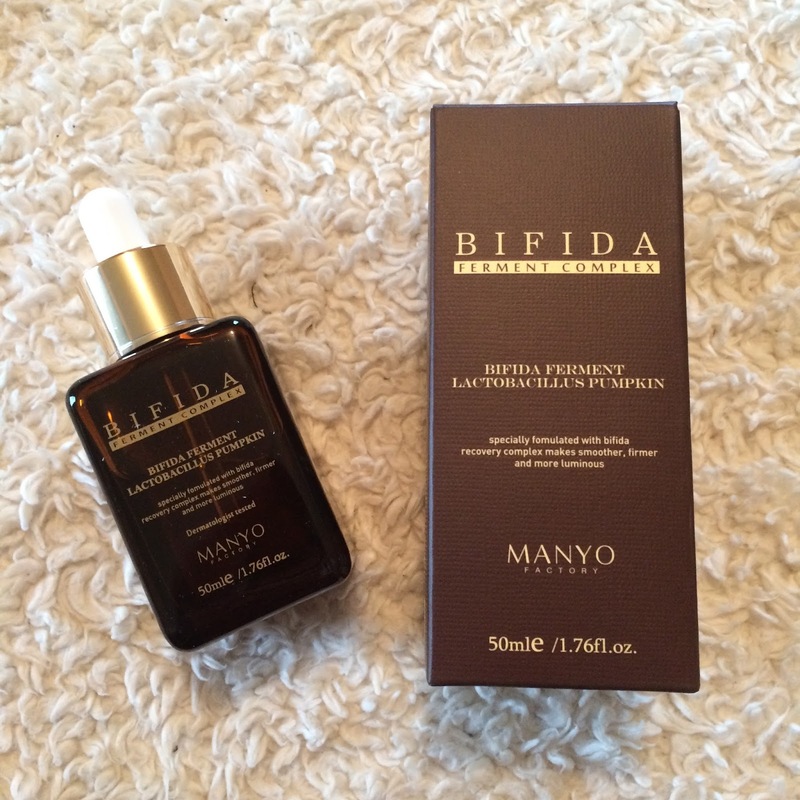 At the time, I really wasn't showing many signs of aging but loved the firmness and clarity it gave my skin. Now, with fine lines creeping up on me, I'm super excited to have it back in my routine. The Galactomist is a lighter-weight but super-powered sister to the Galactomyces Niacin essence. It's a great mist for calming the skin and giving a quick brightening boost. The Lactobacillus Bifida Mist, like the Galactomist, is a sister mist to the Bifida Ferment Complex. This mist not only hydrates and brightens, but offers some anti-aging benefits as well. I've been listening to Simone gush about this peeling gel and I could not wait to get my hands on it. The Active Refresh Herb Peel has been my favorite peeling gel for a long time now, so when I heard that she loved the apple version even more I about died inside. Not only does it work just as well but it smells like apple candy! The Soothing Active Fresh Peel is so yummy, so gentle, and leaves my skin so soft and smooth. There's nothing not to love! 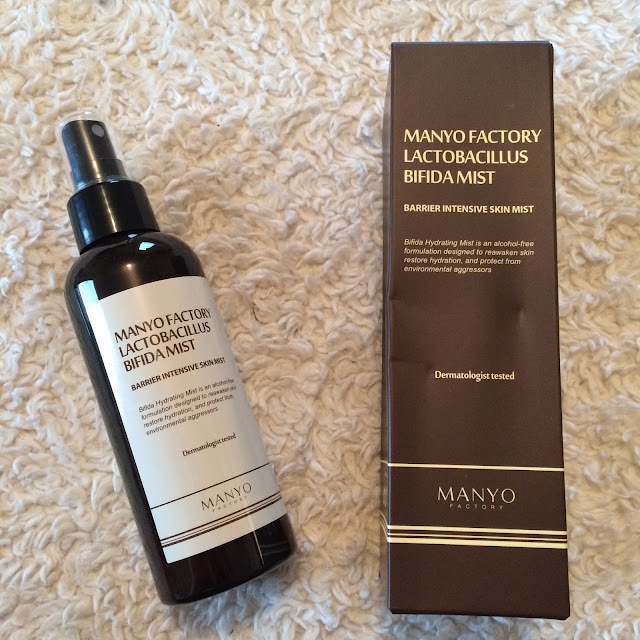 I love the Aqua Moisture Sleeping Cream Pack from Manyo Factory, and this mist reminds me of it very much. It doesn't have as strong of a scent, but the Moisture Surge Sleeping Mist offers some of the same aromatic calming benefits as the cream pack, as well as brightening, hydrating, and calming effects for the skin. It's perfect for an evening routine and right before bed, but also works just fine during the day. 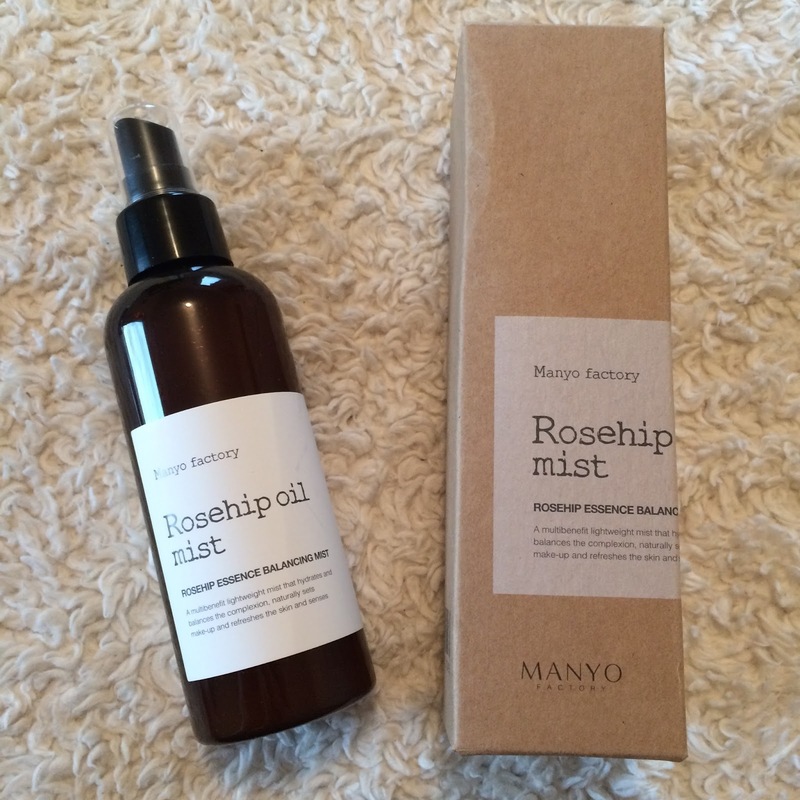 The Rosehip Oil Mist is, admittedly, the first product I ripped open (carefully) because I just had to see if it smelled like roses - and it does! 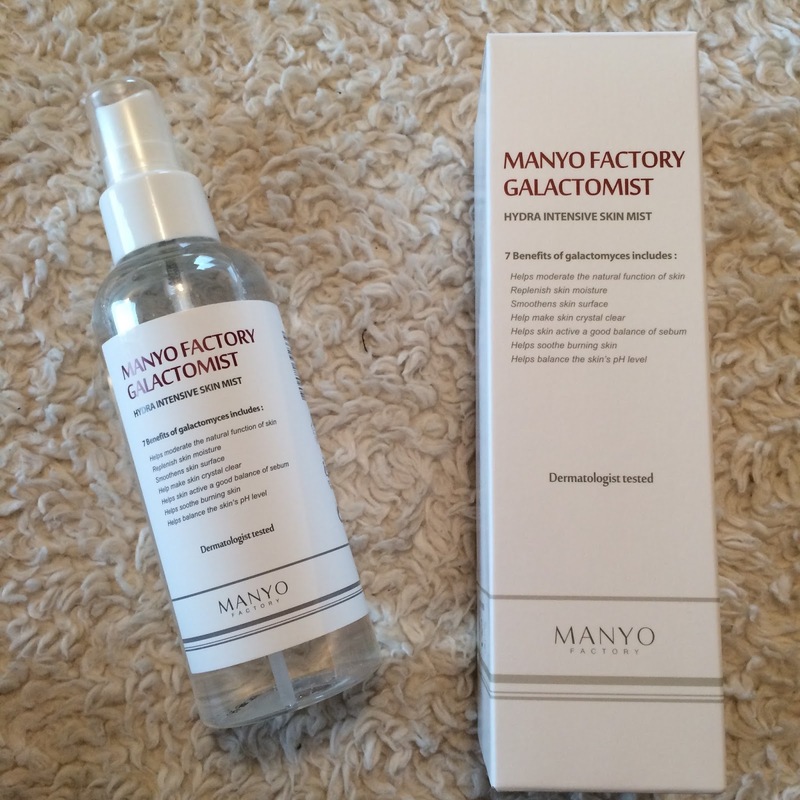 This a nice hydrating mist that not only smells like heaven, but gives a beautiful healthy glow to the skin without becoming oily. I'll be completely honest, but oils scare me. My skin, for most of my life, has been a huge pimple-strewn oil-slick. Until the past year where it's been more combo and I've even been experiencing dry patches. But Simone reassured me that this is a pretty lightweight oil that should mesh great with oily skin types. 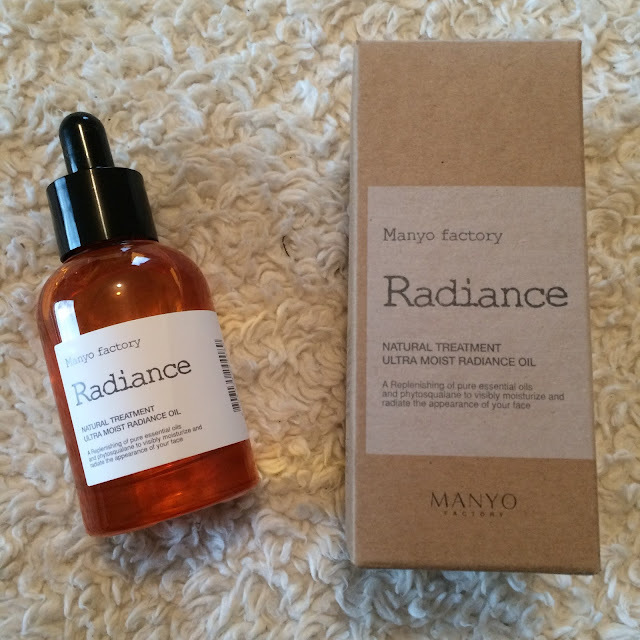 The Ultra Moist Radiance Oil can be used before, after a final moisturizer or sleeping pack (or in place of one if you have oily skin). It can also be mixed with foundation for a glowy finish or applied under a clay mask to prevent overdrying. I don't know why, but it seems like creams are the hardest part of my routine to find a fit that works for my skin. I seem so prone to clogged pores and acne that the thought of trying a new one literally frightens me. But thankfully I gave this one a shot the past few days and I am very impressed. The Ultra Moist Creamy Shea Butter is silicone free (which I know is an acne trigger for several fellow skincare addicts) and gives an intense moisturizing layer to your skin while absorbing quickly and leaving a smooth and semi-matte finish. Shea butter is also great for anti-aging, so I'm excited to add another wrinkle-smoothing product to my routine as well. I'm a big fan of sleeping packs - mostly because it's a time where I can pack on the hydration and not worry about how sticky my face gets like I do during the day. I love honey products, so this was a pleasant surprise that literally made me squeal with glee. 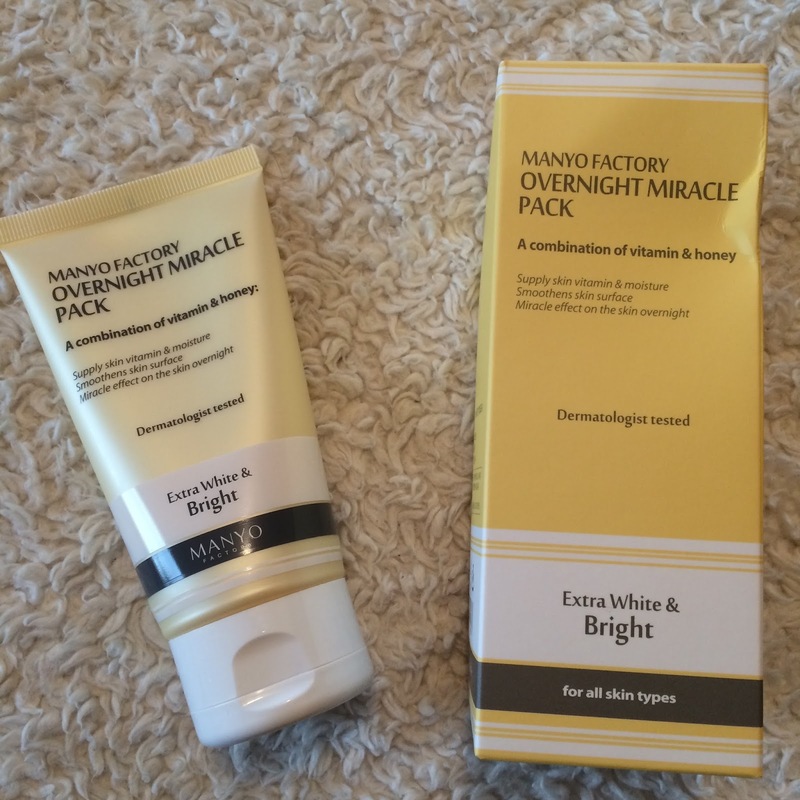 The Overnight Miracle Pack not only packs the antibacterial and antiaging benefits of propolis, honey, and royal jelly - but also targets brightening as well! The Galactomyces Niacin essence has been in my routine the longest now, and I'm actually on my second bottle now. 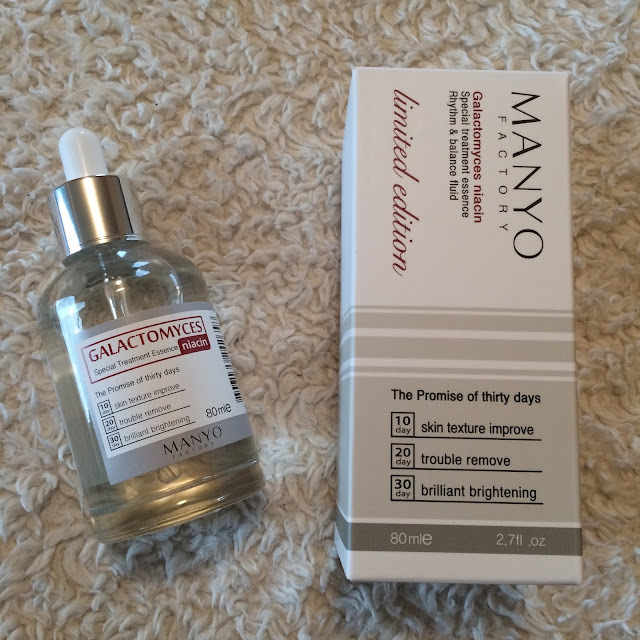 I love galactomyces because it helps prep your skin for your routine, while also soothing redness and evening out your skin tone and texture. It also contains niacinamide which helps even out skintone and brighten the complexion. 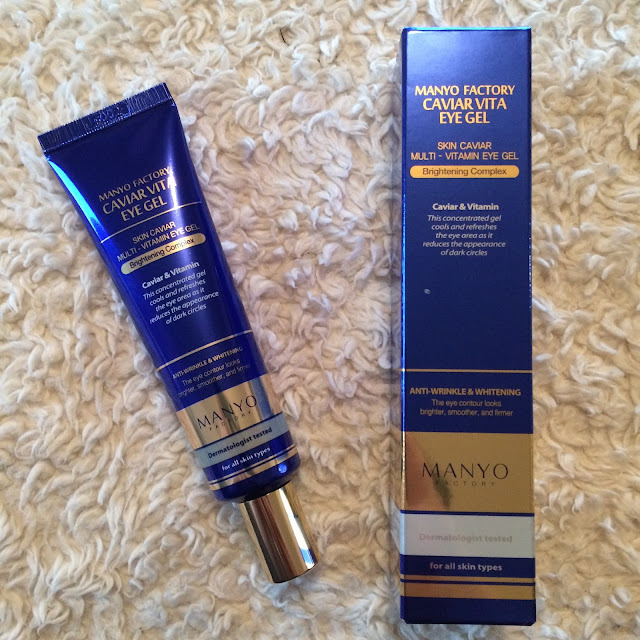 A fun side note that you'll also see on the Leturos Meloria shop listing for this product, is that this was Simone's first Manyo product as well, which we both loved and let her to want to try more from this brand. Right now, you can find the Limited Edition 80mL version of the Galactomyces Niacin in the shop - which is 60% more than the regular size - for the same price! So hurry! The Ultra Moist Rebirth Ampoule has also been in my routine prior to this unboxing, and one that I find crucial to my routine yet again. 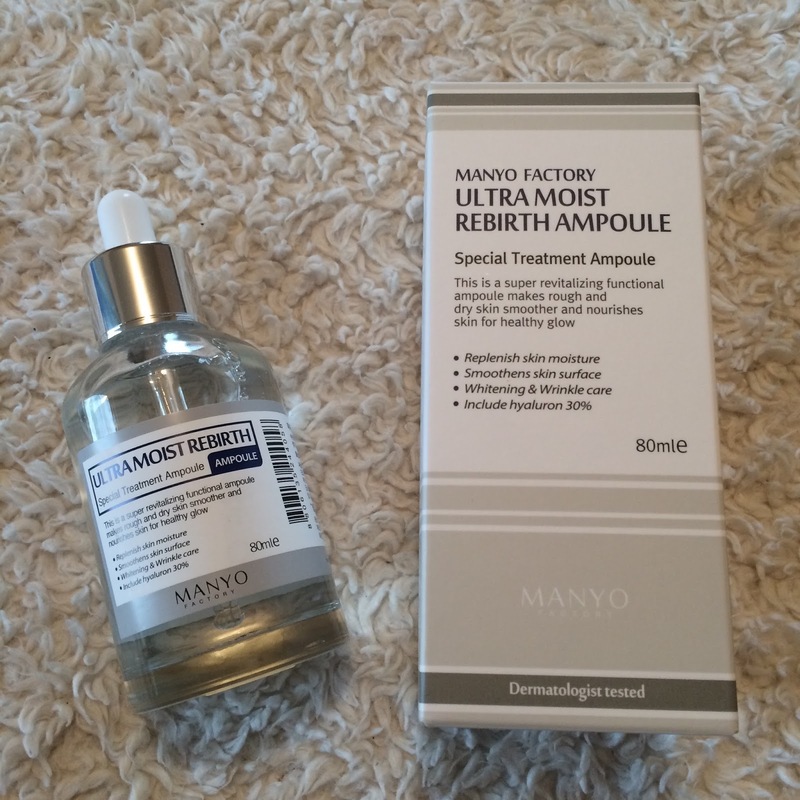 This is a great hydrating ampoule - containing hyaluronic acid which draws moisture deep into the layer of skin. This ampoule also contains a few calming, hydrating and brightening ingredients as well, but I find that my skin is much less dehydrated when I use it and it keeps my flakey patches from returning. Right now, you can find the Limited Edition 80mL version of the Ultra Moist Rebirth Ampoule in the shop - which is 60% more than the regular size - for the same price! So hurry! The Ultra Moist Spa Ampoule is quickly becoming a favorite of mine. 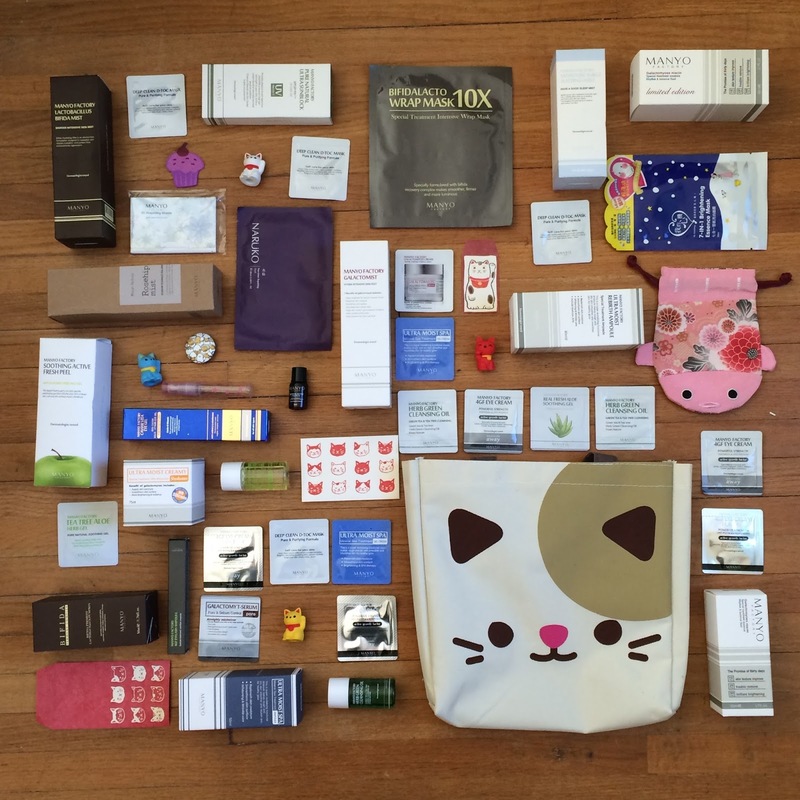 If you follow me on Instagram, you probably saw the Skin Renew Vita-E Ampoule was in my routine for quite a while. I'd nearly run out when Simone mentioned that the Spa Ampoule was quite similar. They contain different ingredients, but both have a similar creamy texture to them and aim to hydrate, smooth, brighten, and fight aging. I found the Vita-E Ampoule gave my skin a dewy glow and made my skin super smooth with the infusion of oils it contains, but the Spa Ampoule makes my skin look healthier and feel more plump and bouncy. I'm excited to see what a more long-term effect will be. Admittedly, I don't wear makeup very often, because I don't go out often and I live on a farm... But I can say that it's nice having a cleanser that is specifically for removing stubborn eye and lip makeup without pressuring your regular facial cleanser to do it. 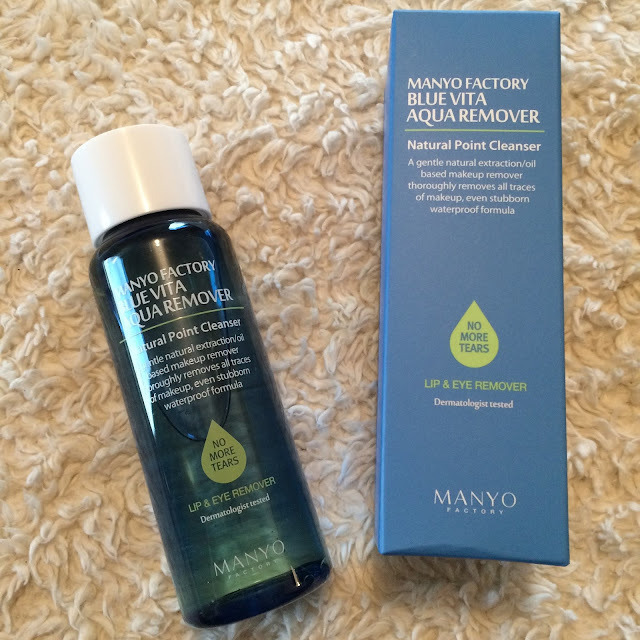 I do oil cleanse, and it works pretty darn good for removing most makeup - but the Blue Vita Aqua Remover eliminates the black mascara crusties I find the morning after. It's gentle, and protects the gentle eye area while it works. Plus the layers look like a cool lava lamp - haha! I have such mixed feelings about eye creams - mainly that until a year ago I didn't think they were necessary. I've found a few along my journey that were worth using til they were gone but have never actually repurchased one. The Caviar Vita Eye Gel seems so different from anything I've tried before. 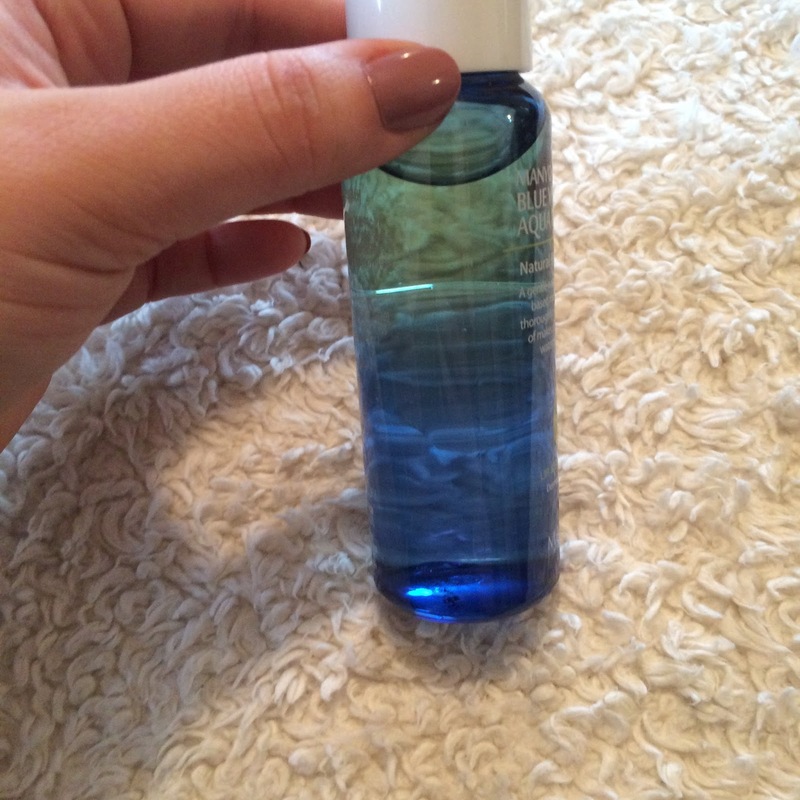 It really is a lightweight, watery gel that is super easy to apply and sinks into my skin almost immediately. I swear I feel a slight cooling effect for a few seconds after I pat it into my undereye are, but it also seems to give a more awake look to the area. My eyes area is aging faster than any other part of my face - probably due to stress and lack of sleep - but this has certainly already made me look less like a zombie. Confession time: I, uh... don't wear sunscreen. I wear a sun hat in the warmer months when I'm outside for more than 5 minutes at a time, and I am diligent about getting sunscreen on the kiddo - but I just have a hard time with it. Most sunscreens break me out, and the one I found that I loved and worked perfectly for me was discontinued. 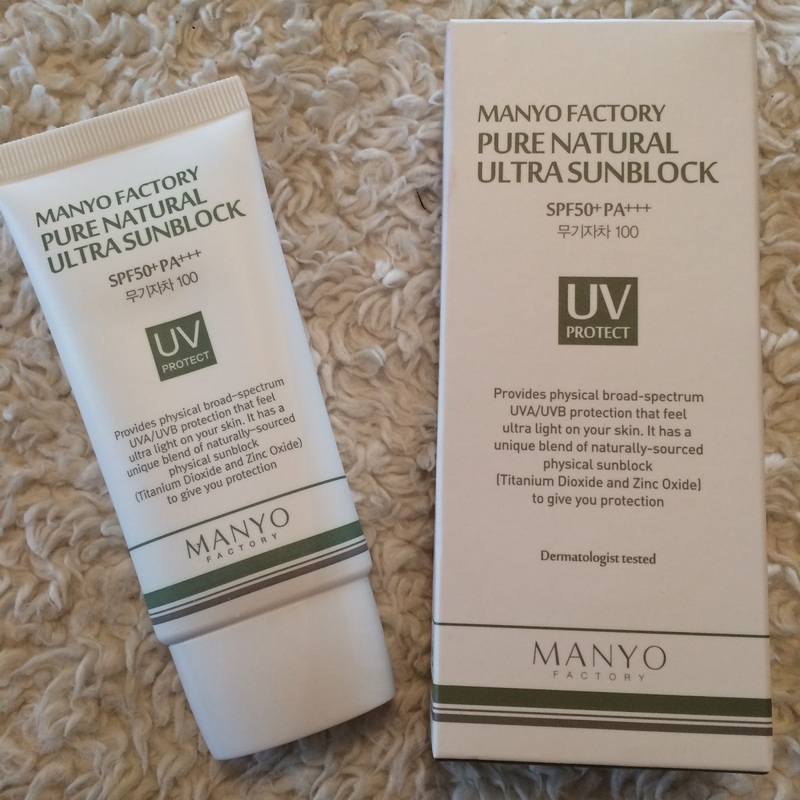 So I'm both excited and nervous to try out the Pure Natural Ultra Sunblock, and it does contain physical filters, which my skin tolerates better vs chemical filters, so this does sound promising! Once upon a time I had a goal of finding an eyelash serum that really did give me longer, thicker, and fuller lashes so I could skip mascara (being my number one makeup item). 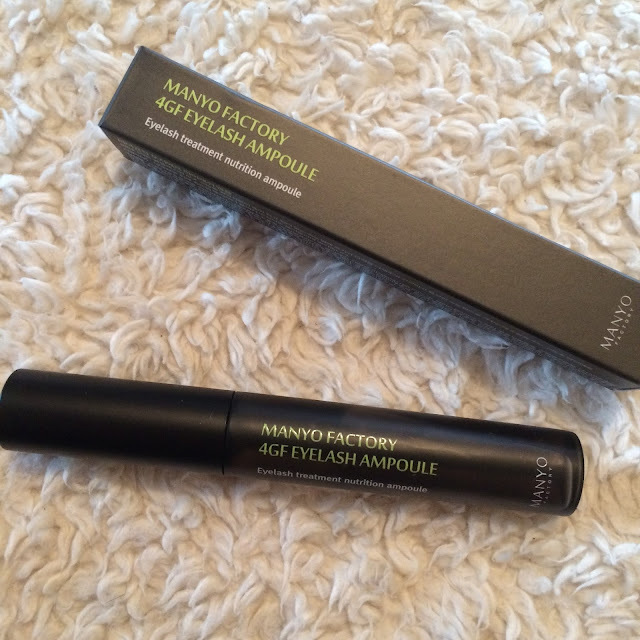 I'd since given up that dream and have invested in several tubes of mascara to layer and play around with, but the 4GF Eyelash Ampoule gives me hope! I haven't started using it yet, but I've heard from several people that it really does help lashes grow, so fingers crossed! 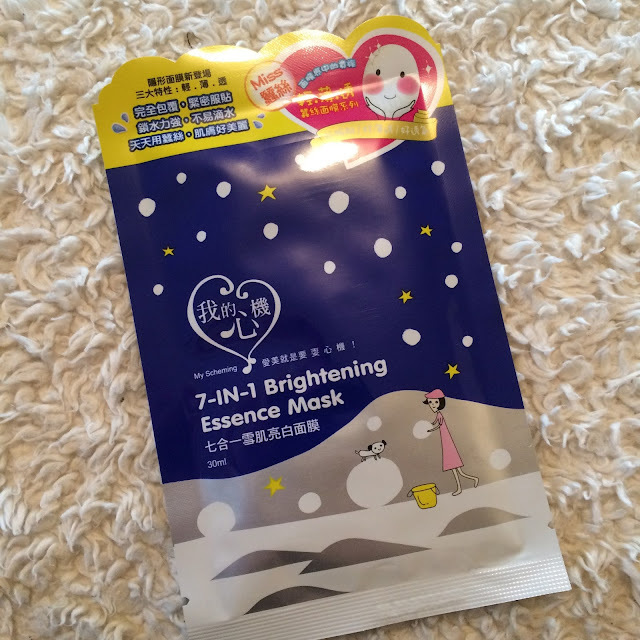 I was thrilled to receive this mask because I'd used it before (about six months ago) and it was great! 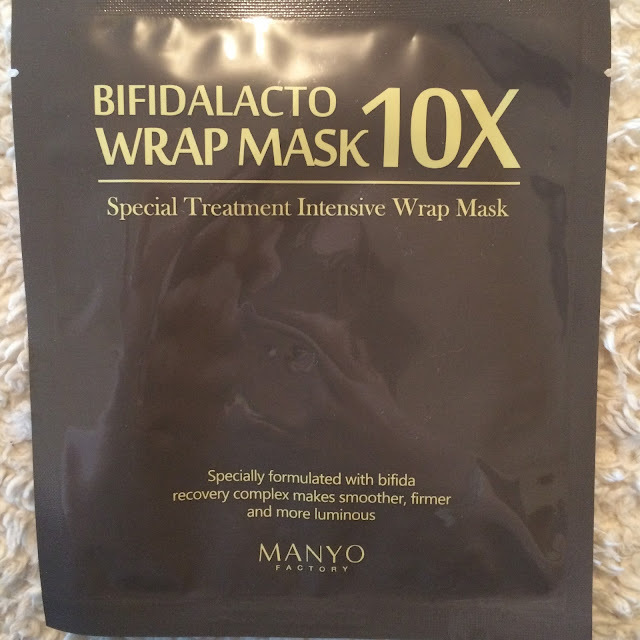 The Bifidalacto 10x Wrap Mask is a super thin hydrogel-type mask that cools, brightens, smooths, and soothes the skin. Not only did my face look and feel better after use, but it also minimized the cystic acne bumps I had at the time, so I'm definitely saving this for my "tom." This is one of the few non-Manyo Factory products offered at Leturos Meloria, and another one that I've had the pleasure of trying in the past. I love My Scheming masks because the thin silk material is soft and clings well to skin - and the 7-in-1 Brightening Essence Mask is no exception! Just as the name implies, this mask is perfect if you need to give your skin a brightening boost - I like to use these in the morning to help fade hyperpigmentation and lessen the color of acne and other spots. Ahh, Oil Absorbing Sheets, my old friend. 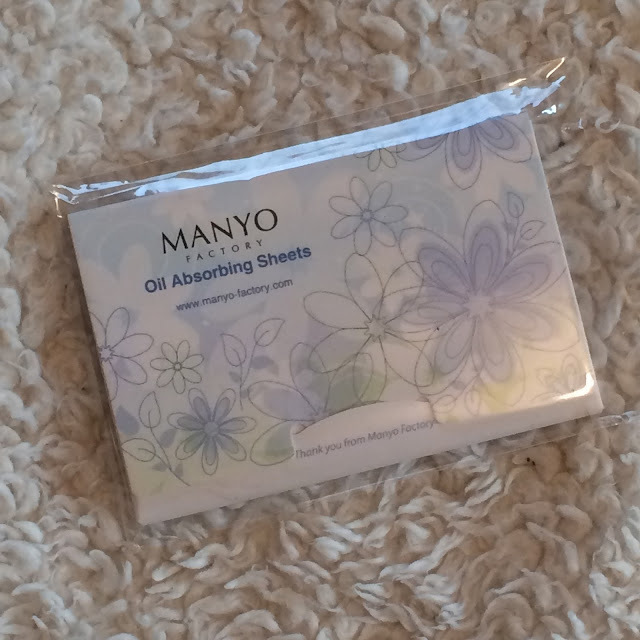 I've not tried these from Manyo yet, but I always keep a pack of them in my purse for my t-zone while out and about. These are a must-have for me in the summer month when my skin turns from dry and flaky, to greasy and slimy. These sheets are currently free in any order of $25! Now, for the fanfare. I'm honestly at a loss for words, considering how generous of a package this already was. I just can't get over all the samples, all the gifts, the candy, and masks! It's so amazing! Simone has really out-done herself and "thank you" just isn't enough to express how grateful I am. As I mentioned at the beginning of this post, the code "halfpastoctober" will earn you a special gift with your purchase! 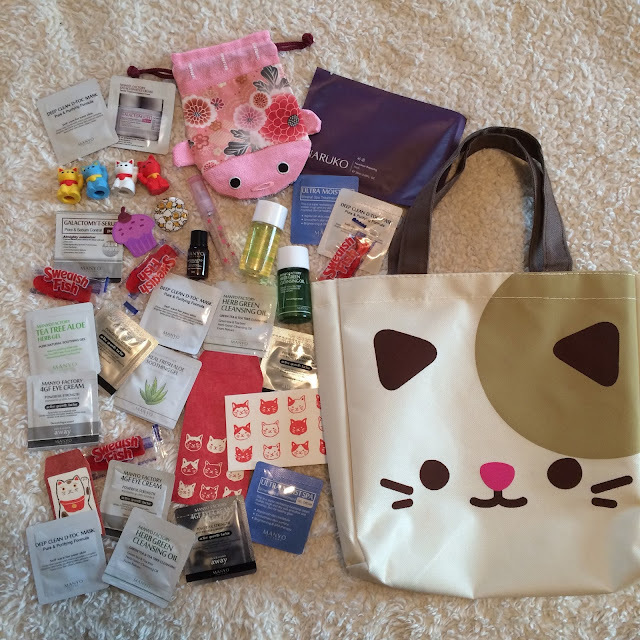 If you'd like to help me earn points for giveaway items, you can support this blog by using my referral link. Over the coming months I'll be slowly working my way through trying everything thoroughly, and getting some reviews up for you all to read.